Yesterday, i received a phone call from Kim Cooper. I get numerous calls a day from people who have seen our products and have questions or need help and advice. This call was different, Kim shared with me the story of her family and the details of her fundraiser "Family Fun Day" she is putting together benefiting the Make a Wish foundation. After several questions on my behalf i quickly learned of her amazing story, and a reminder of an old tradition - Pay it forward..
Kim is the mom of 10 years old Taylor Cooper who on July 19, 2005 was diagnosed with a Wilm’s Tumor (a form of kidney cancer in children). Taylor had surgery 2 days after learning she had cancer in order to remove a tumor and her left kidney. She went through an intense 30 weeks of chemotherapy treatment as well as 11 radiation treatments. Today, Taylor is a cancer free, beautiful blue eyed, 10 year old angel filled with an abundance of joy. 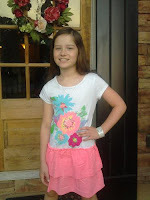 She is getting back to a normal, 10 yr old, worry free life of playing with friends and family. Her great big spirit is filled with so much love and kindness. Tylor is a very active young girl who enjoys playing soccer, acting, and playing with friends. She also loves to sing! Taylor was granted her wish through the Make A Wish Foundation shortly before the end of her chemotherapy treatment on March 10, 2006. 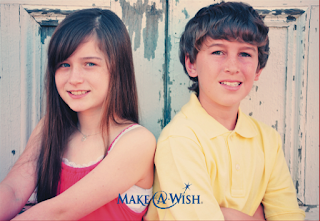 The cooper family is forever grateful to everyone for their love and support and to the Make A Wish Foundation for granting Taylor’s Wish and for the past 6 years they join forces to help give back by collecting enough money to be able to grant a wish for other kids. After hearing her amazing story, (and wiping a few tears) I immediately decided to join forces with Kim and help give back to these brave children! Ybody glitter Tattoos will donate all the supply to make a dazzling glitter tattoo station for all the kids and adults that will attend the event. 100% of the proceeds will go to pay it forward and make another wish come true.....because Wishes can’t wait! Team Taylor will be Fund Raising in honor of Brendan Stotler. Brendan was diagnosed with a Wilm's Tumor also. He completed his treatment in may 2010 and wishes to go to Atlantis. Please help us in honoring Brendan! "Family Fun Day" will be held at Bentwater Activity Field on May 14th From 3-7 (in Acworth GA) Activities will include some vendors, Fashion show, C.K.Dance Performance, Live Music by Band Paul Hand a silent Auction, Ybody Glitter Tattoos and MUCH MORE! If you cant attend the event ( like me ) please consider making a donation to help Team Tylor by contacting us, we will put you in touch with Kim and her family. Remember, every dollar counts so any contribution will be greatly appreciated!. For those of you who can attend i hope you enjoy this beautiful fun day and go get a Glitter Tattoo and help pay it forward and support such great charity.